The latest Health and Wellbeing news. 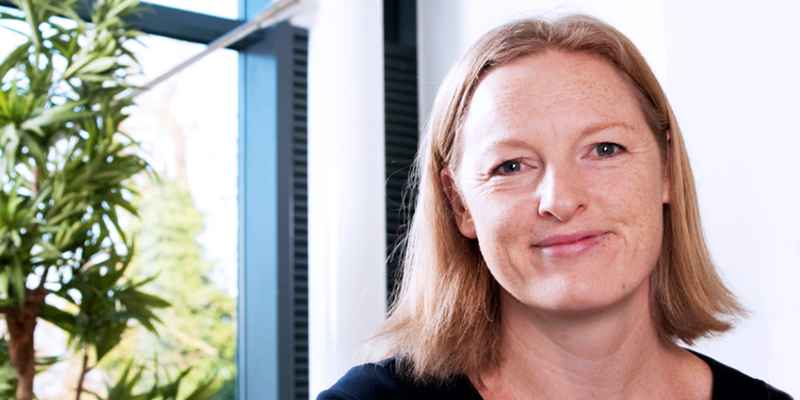 This corner has the latest news on Health and Wellbeing at Cambridge University Hospitals Foundation Trust and West Suffolk NHS Foundation Trust. Everything happening at CUH can be seen on the CUH events calendar. 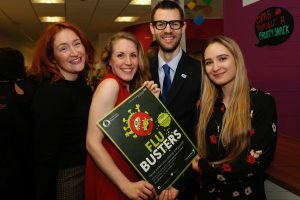 The Best Flu Team Award goes to… Cambridge University Hospitals. 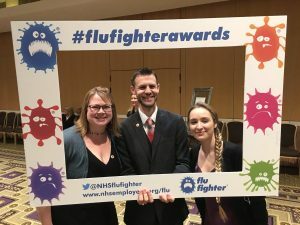 We are very proud to share that CUH has won the Best Flu Team at the 2017-18 NHS Flu fighters awards. Having managed to vaccinate 84% of front line staff at CUH over 6 weeks we were awarded the best flu team in the country for our teams great collaboration and hard work. We would like to say a very big thank you to all the departments that were involved in the campaign such as; Pharmacy, , Waste Services, Estates, Infection control, Voice Services, the Communications Team and so many more CUH departments. And most importantly thank you to our local vaccinators and every single staff member who had their jab to protected themselves, patients, visitors, friends and family. Oh Occupational Health and Wellbeing Think’s Green… and Gold! 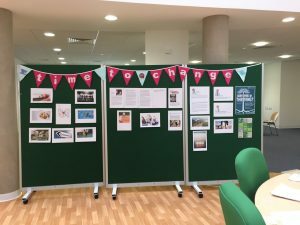 Oh Occupational Health and Wellbeing has been supporting the Cambridge University Hospitals Trust’s Think Green initiative to improve the environmental impact our department has on the planet. Having previously been awarded silver, over the past year we have been working towards a gold award. We are very proud to share that we have now reached gold and are the first organisation within The Cambridge Universal Hospitals Trust to achieve this! We strongly recommend any other departments who are thinking about joining this fantastic initiative to take the plunge! However, just figuratively as that would use a lot of water and that’s not very green. 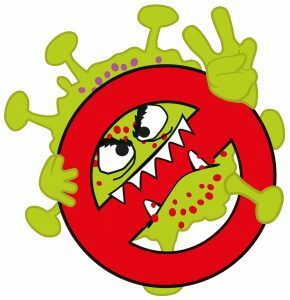 The CUH Flu Busters 2 campaign is well underway with clinics having run throughout October and November as well as Local vaccinators who are continuing to vaccinate staff through out the trust. We are very proud to stay that 84% of CUH front-line staff have now been vaccinated against flu! Thank you to all the staff who have helped protect themselves, their patients, friends and family from Flu this year. And a big thank you to the local vaccinators taking the time to protect staff. Its not to late to get your vaccination! Get your jab from a local vaccinator where you work. For the contact information of local vaccinators and the areas they cover see connect by clicking here (please note connect is only accessible internally). Time to change organised an event in the Deakin Centre with the theme being the Mental Health Foundations campaign ‘Survive or Thrive’ for mental health week. The event aimed to help staff thrive and not just survive at work by supplying information, support and resources on mental wellbeing. The event included breaking negative thought loop drop-in sessions run by Sam Thorogood from Tiny pause, free head and neck massages, a member from the chaplaincy offering information and support, Time to Change offering handouts and resources & ourselves (Cambridge Health at Work) who shared resources, leaflets and support with staff. 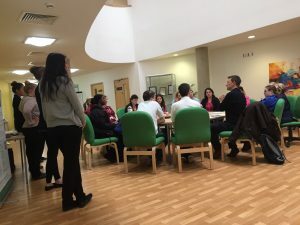 It was brilliant to see so many staff from CUH pop by to find out more about mental health. Thank you to everyone who took the time to come down and get involved. 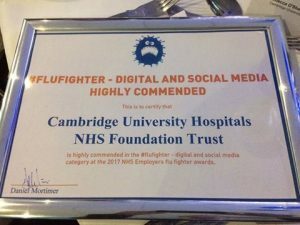 We are very proud to share that CUH was short listed for an NHS Flu Fighter award and received an highly commended certificate for Digital and social media at the awards ceremony on the 27/03/17. We would like to say congratulations to the winning trust South Tees Hospitals NHS Foundation Trust, well deserved. And well done to all the trusts short listed on their brilliant effort to protect people against Flu this year. 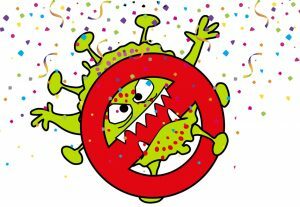 Thank you to CUH staff who shared Flu Buster posts, shared selfies, or posed with the flu bug during the campaign. We couldn’t have done it with out you! Update: The official total of staff vaccinated has been published by PHE with an amazing 75.4% of frontline staff vaccinated against flu this season at CUH. Well done to everyone who helped to achieve our goal. In the past three years the average annual uptake at Cambridge University Hospitals NHS Foundation Trust has been 50.6%. Reaching our goal means £670,000 for the trust which will help to continue the high standard of care available at CUH. 75.1% of CUH staff have been vaccinated against Flu! we are very proud of our CUH staff who have protected themselves and others against flu this season. 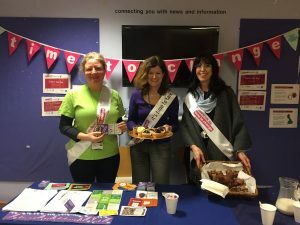 CUH particpated in time to talk day and a stand was set up in the concourse offering free coffee, tea and cake as well as lovely conversations. 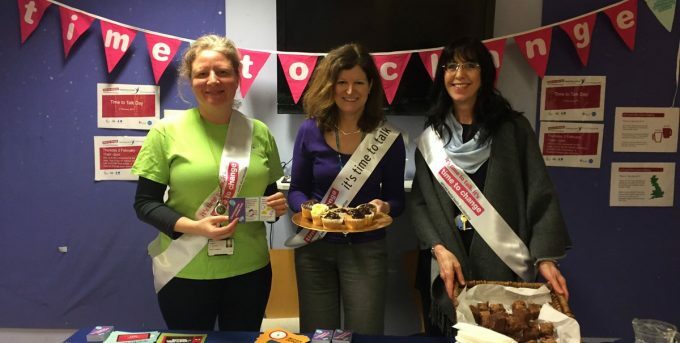 The cake stall in the concourse was a great success with many staff at CUH talking about mental health. A health and wellbeing newsletter is now available for staff. 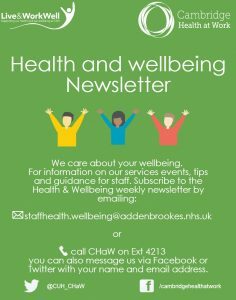 The newsletter is sent weekly by email and consists of tips on health and wellbeing as well as information on the events, courses, services and campaigns available for staff each week. To subscribe to the newsletter please email staff health and wellbeing. Please feel free to print and display any of our newsletters.